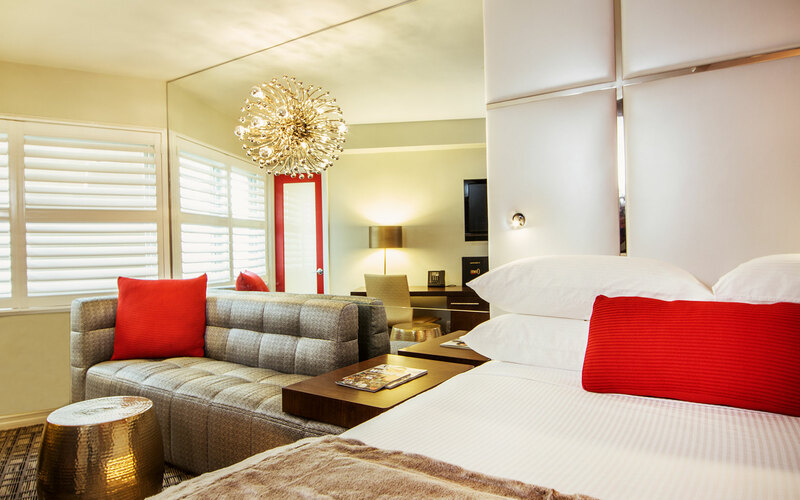 At The Grafton on Sunset, 108 guestrooms and suites exude contemporary urban style. Leather and metal finishes set against a palette of grays and creams capture the hotel’s industrial chic vibe. All guestrooms feature built-in sitting areas, with custom lighting, perfect for lounging before hitting the Strip for the evening or reading a book in the morning with a cup of coffee. Furnishings and amenities include a writing desk, mini-fridge, 52” HDTV and in-room safe, as well as well-lit bathrooms with rain showerheads, plush bathrobes and eco-friendly bath amenities. Get the best rates on the Sunset Strip when you book with us. We feature a variety of specials and packages, including Advance Purchase rate plans. Saving money makes your Hollywood getaway extra special. 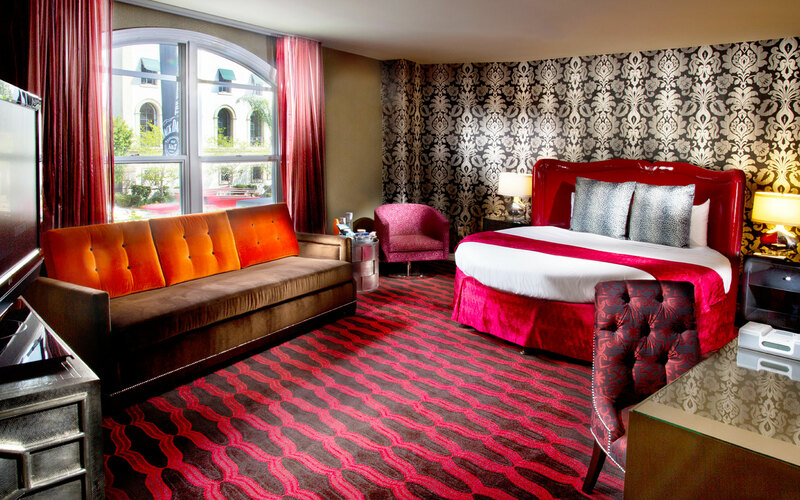 Our exciting new rooms feature a contemporary combination of leather, metal and unique illumination, highlighted by red accents from closet to bathroom. Our suites are individually decorated to represent classic Hollywood themes. Customize your experience by selecting a room or suite for your needs and combine it with another suite in case you need the extra space.